If you’re in Boston or New York City this week, then you can join in the fun as two different comedy festivals kick off tonight and run through the weekend. In addition to live performances each night at The PIT — which does include improv troupes from other cities, including Boston, Chicago, Philadelphia, Baltimore, Charleston and elsewhere — the fest also offers a selection of improv comedy workshops. Thursday’s schedule includes an all-star improv team with The PIT’s founder (and former UCB original player), Ali Reza Farahnakian, alongside Rachel Dratch, Scott Adsit, Eugene Mirman and surprise co-stars. Jodi Lennon – Second City, Annoyance Theater and iO. Speaking of Boston, the fourth annual Women in Comedy Festival starts tonight and runs through Sunday, with most shows across the Charles River in Cambridge. The festival naturally celebrates women in comedy, with an emphasis on showcasing the Boston comedy scene, but the schedule also includes male comedians, improv, sketch, panels and workshops. 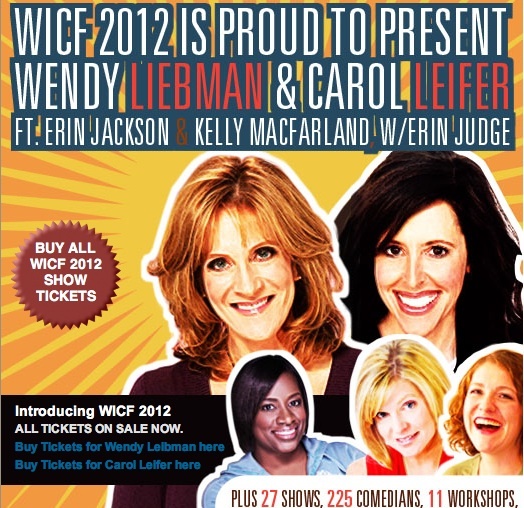 This year’s national headliners are Carol Leifer and Wendy Liebman. Longtime Boston TV reporter/critic Joyce Kulhawik also will moderate a free panel discussion on Saturday afternoon about women in entertainment, featuring Leifer, Liebman, Erin Jackson, Kelly MacFarland and Erin Judge. So get out there and support some live comedy this week!